Prof. Guangyu Zhu obtained his B.Sc. in Chemistry from Peking University (2002), where he developed a strong passion for biological chemistry and drug discovery. He moved to the United States and obtained a Ph.D. in Biological Chemistry from the Department of Chemistry at the University of Pittsburgh (2007), where he was working on anticancer drug development and discovery. He subsequently did his postdoc at Massachusetts Institute of Technology (MIT) with Prof. Stephen J. Lippard working on the mechanism of action of cisplatin, one of the most widely used chemotherapeutic drugs in the clinic. 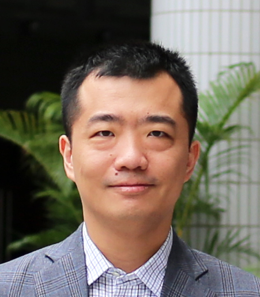 He joined the City University of Hong Kong in 2011 and now he is an Associate Professor. Prof. Zhu's research interest lies at the interface of chemistry and biology, focusing on anticancer drug development and mechanism. His current research projects include synthesis and biological evaluation of novel metal-based anticancer agents, development of cancer-specific nanomedicine to conquer cisplatin resistance, and screening of biologically active small-molecule anticancer agents and their target validation, by using interdisciplinary approaches and methods in the areas of biological chemistry, medicinal chemistry, molecular biology, and chemical biology.